>Medicare for All: Sounds Good, but What Does It Mean? Medicare is a popular program that enjoys broad political support. Perhaps seeking to borrow a popular brand name, some have proposed “Medicare for All,” “Medicare Extra for All,” and “Medicare buy-in” as a means of expanding and improving health insurance coverage in the United States for individuals younger than age 65. 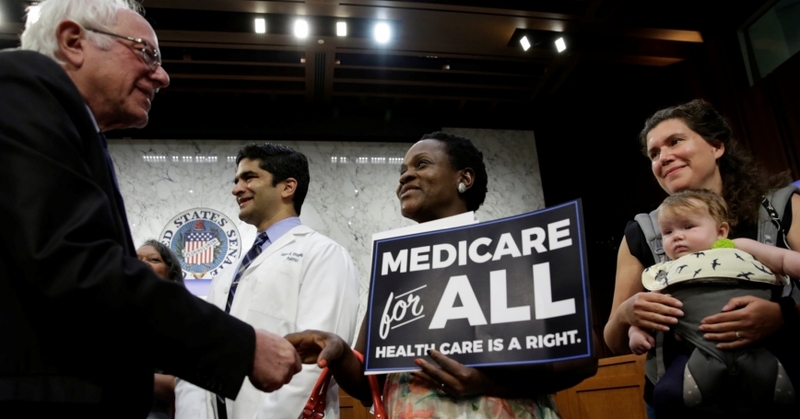 The newly formed Medicare for All Caucus has more than 70 founding members from the U.S. House of Representatives, including several potential 2020 presidential candidates. Yet, there is substantial variation in proposed plans, and public support for such proposals varies greatly depending on the language used. For policy analysts, such high-level proposals quickly draw a question: “What do they really mean by Medicare?” Medicare has multiple components: traditional Medicare (Part A and Part B, also called original Medicare or fee-for-service Medicare), Medicare Advantage (Part C), and Medicare prescription drug plans (Part D). Each of these components requires a separate premium, and Parts C and D plans are offered by private insurers. Individuals (or their spouses) who have paid Medicare taxes for at least 40 quarters do not pay premiums for Part A (hospital insurance). Beneficiaries pay Part B (medical insurance) premiums, starting at $134 per month in 2018 and increasing with beneficiary income. Traditional Medicare also has deductibles and coinsurance and—surprisingly to some—does not have an out-of-pocket maximum. More than 80 percent of Medicare beneficiaries have a source of supplemental coverage beyond traditional Medicare, whether through Medicare Advantage, employer-sponsored plans, Medigap, Medicaid, or other coverage combinations. Part C premiums vary by plan and cover hospital and medical services. Premiums for Part D plans vary by plan and beneficiary income. If “Medicare for All” evokes an expansion of traditional Medicare, its proponents should make this explicit and explain whether and how they propose to address the coverage limitations of traditional Medicare. Like other health insurance products, each part of traditional Medicare features cost sharing (that is, consumer out-of-pocket expenses) via deductibles, copayments, coinsurance, and other gaps in coverage. The main limitation of traditional Medicare is its lack of an out-of-pocket maximum—an annual beneficiary spending limit (the sum of deductibles, copays, and coinsurance across all service categories) beyond which insurance covers all additional costs. In contrast, qualified health plans—those offered through the Marketplaces under the Affordable Care Act—can charge an individual member no more than $7,350 in 2018. An out-of-pocket maximum is the main mechanism used in health insurance to guard against catastrophic financial loss. Having an out-of-pocket maximum matters. An out-of-pocket maximum is the main mechanism used in health insurance to guard against catastrophic financial loss. For example, an individual in Iowa in 2017 generated $12 million in paid claims due to a complex genetic disorder. These claims were covered by a qualified health plan, which placed a fixed ceiling of no more than $7,350 on the patient's out-of-pocket costs. Had this individual been on Medicare, the patient could have faced $268,000 (Part B drugs) in out-of-pocket costs (assuming 200 infusion visits with a co-insurance amount no greater than the Medicare Part A deductible per visit). In addition, traditional Medicare has annual and lifetime limits on hospital coverage. Qualified health plans are not allowed to place such limits on any services. For example, an individual who needs to be hospitalized for 180 days in a benefit year would have the entire hospital stay covered if the beneficiary is enrolled in a qualified health plan. However, if the individual is insured by Medicare, coverage stops after the 150th day of hospitalization. Although million-dollar claims in a single year are infrequent, insurance is supposed to protect individuals from rare and catastrophically expensive shocks. Traditional Medicare does not do this. For this reason, many Medicare beneficiaries buy additional supplemental (Medigap) insurance, which provides catastrophic protection as well as additional assistance with cost sharing. Qualified health plans are required to offer 10 categories of “essential health benefits.” These benefits include limited dental and vision services (for children), prescription drug coverage, hospital care, and professional services. In contrast, Medicare offers neither vision nor dental service coverage, and other essential health benefits are offered “a la carte,” depending on which parts of Medicare beneficiaries enroll in. Individuals covered by Medicare can have most of the essential health benefits required of qualified health plans if they enroll in Medicare Parts A, B, and D. Or they can build their own benefits by choosing inpatient and outpatient coverage (Parts A and B) while declining prescription drug coverage. 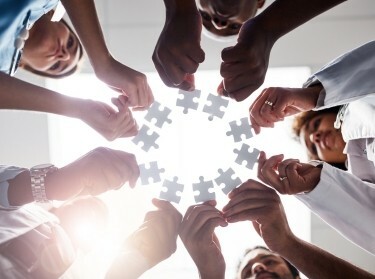 Beneficiaries can elect to fill in some of the coverage gaps in traditional Medicare's complex benefit design by purchasing a Medigap policy, or they can integrate their benefits by enrolling in privately run Part C (Medicare Advantage) insurance plans. Some individuals may have additional coverage that is integrated with their Medicare coverage and functions like a Medicare supplemental plan but is paid for and integrated with employer- or union-provided coverage (PDF). Traditional Medicare is popular (and therefore can lend a good “brand name” to coverage expansion proposals), but its limits can be significant for some patients. Those proposing and evaluating “Medicare for All” proposals should consider whether and how these limits are addressed. The details of policy proposals that either extend the Medicare scope of coverage and cost sharing or establish a new benefit package have ramifications for enrollees' finances and access to care. David Anderson is a research associate at Duke University's Center for Health Policy. Jodi Liu is an associate policy researcher at the nonprofit, nonpartisan RAND Corporation. Mark W. Friedberg is a senior natural scientist at RAND. This commentary was first published on November 19, 2018 on Health Affairs Blog. Copyright ©2018 Health Affairs by Project HOPE — The People-to-People Health Foundation, Inc.
What Is Single-Payer Health Care? A Review of Definitions and Proposals in the U.S.